A spot of creative curation! 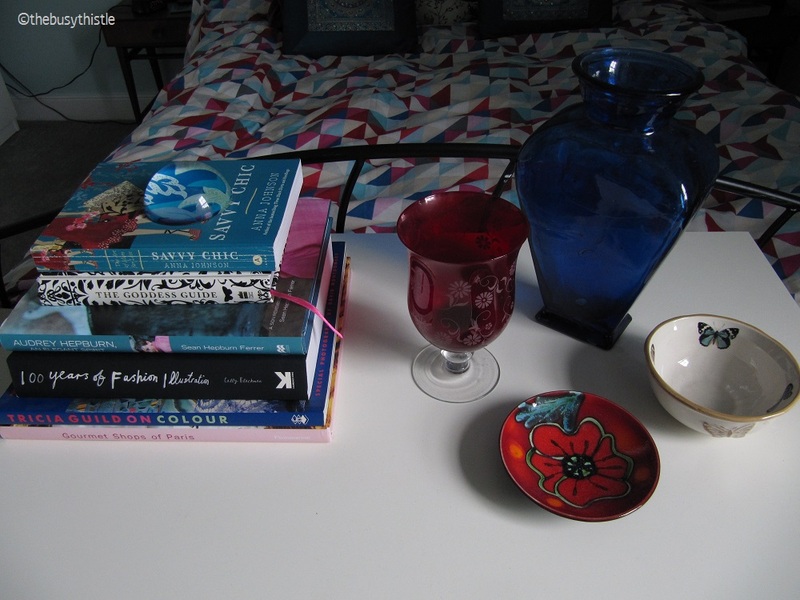 I keep unearthing interesting objects that I have acquired over the years and am trying to be selective in how I display them, rather than doing my usual which means cramming everything I own on to a surface and then despairing as they gather dust! I’ve not quite mastered the art of display yet, though I think this little set of objects has been quite successful – I like having the books there. 12 Jun	This entry was published on June 12, 2014 at 6:02 pm. It’s filed under Busy Month of June and tagged 30 Days of Creativity, curation, home. Bookmark the permalink. Follow any comments here with the RSS feed for this post.